Awwwww so cute! ~(^.^)~. SOOOOOOO CUTE!!!!!!! ^_^. Wallpaper and background images in the Silver the Hedgehog club tagged: silver pichu super cute. i am aboy but THAT IS CUTE! go pika! !lick silver to death!! Aw Silver made a new friend. That pokemon like him. 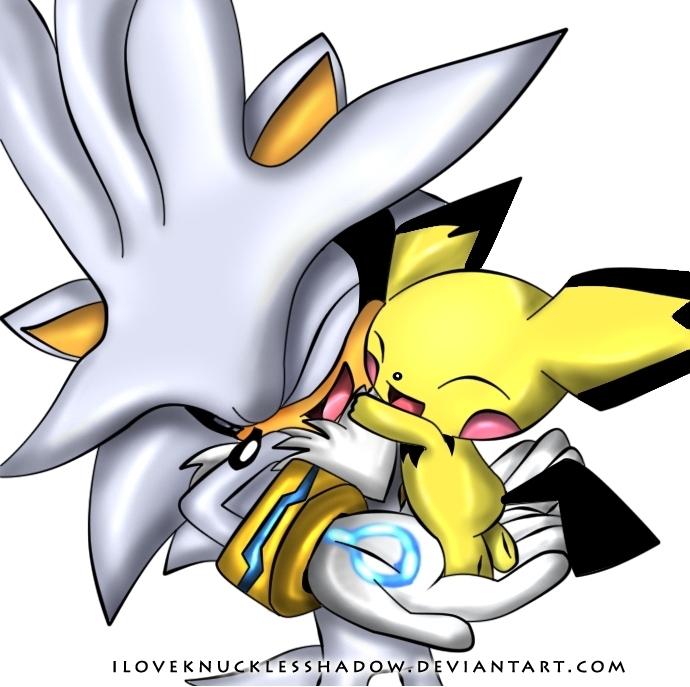 *hugs silver* I love this! So ADORABLE! Did u kno that silver really is that kind so if that pichu was in sonic 2006 this could possibly happen! so cute! OMJ THAT IS SO FREAKING ADORABLE!!!! This video was my complete thought to this picture. omg its double the cuteness!!! a cute silver and a cute pichu awwwwwwwwwwww!!!!!!! Back off silver! Me wantza huggle pichu more!! Aww, come on Pichu! I want a hug too!! Silver and Pokemon go well together. Mega Cute. I have DA and did some searching and found Sonic with Pikachu, Shadow and Raichu, Espio and Kecleon and Blaze and Espeon. now that is cute! iand i like silver(fan) and i like pichu also. Awwwwwwwww that is to FREAKIN CUTE!!!!!!! ITS SO CUTE IM GONNA DIE!!!!!!!!!! AWWWWW SO SO SO CUTE!!!!!!! SOMEONE DO SHADOW AND RAICHU!